Property Size 1,693 sq. ft.
St. Maarten is the most desirable location in all Silver Shells Resort! 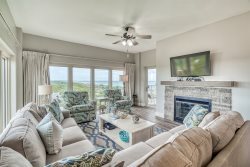 Gulf front, stylishly appointed, featuring floor to ceiling views of the Gulf in the living area as well as two spacious gulf front bedrooms! This unit has a fully equipped kitchen as well as a full sized washer and dryer. Each bedroom and the Great Room are equipped with their own television sets and DVD players, as well as complimentary WiFi. You will love this elegantly finished home away from home! Silver Shells is conveniently located to all Destin has to offer, being less than 1 mile to many of the best attractions Destin has to offer. You’ll experience some of the most magnificent views of the Gulf from your private balcony; or stargaze while relaxing to the sound of the surf on the beach! The Resort is located right next to Henderson Beach State Park and is within walking distance to beach side dining at “The Back Porch and Ruth’s Chris Steak House. You’ll love the 7500 sq. ft. swimming pool with waterfall. Play tennis or work out in the state-of-the art fitness center with an indoor heated pool and Jacuzzi. Add $160 for housekeeping and 11% for tax. There is a $69 damage protection fee, $30 booking fee, and 2.5% to process credit card payments. A 25% deposit is due at the time of booking to secure the reservation.